It's Wonderful Wierdos Day! I'm celebrating it with bunch of most wonderful weirdos, remembering the first and imho the best slogan of MH: Freaky Just Got Fabulous! DogMom - thanks! 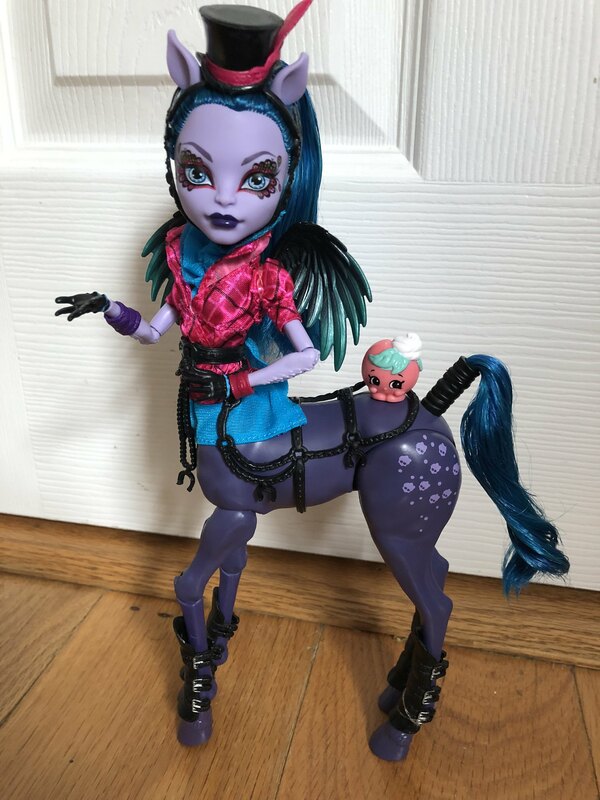 It's signature Clawdeen from 2010, the very first one. 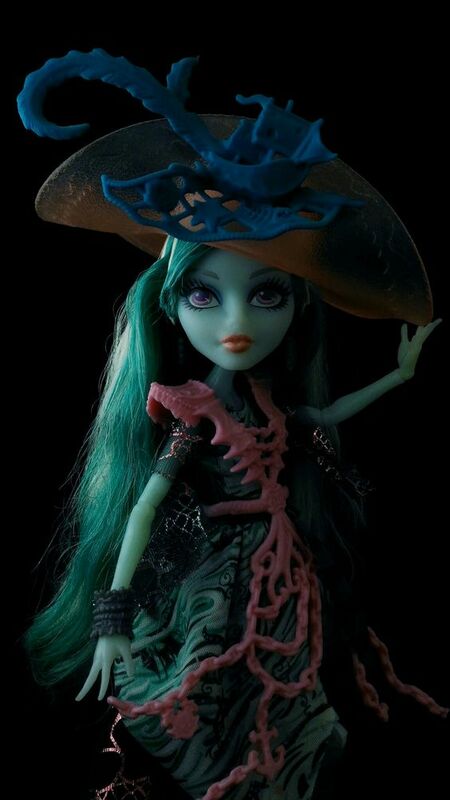 neon, Claw's looking ultra-fierce with her pose & hair style. They ALL look fangtastic! Day 251 is super sweet...love me a good redhead! Pinterest is messed up, so I can't upload, and I'm not exactly keen on starting a new account elsewhere (also not in the mood to use instagram, since it crops tall pics). I'm not very pleased with these photos, so maybe I'll take some more. I need morning light, but last few days I've been struggling with insomnia (it usually comes together with migraine) and just wasn't able to get out early enough. The more I see this doll redress, the more beautiful she looks. Her original stock just didn't do her justice. nassib - thank you very much! 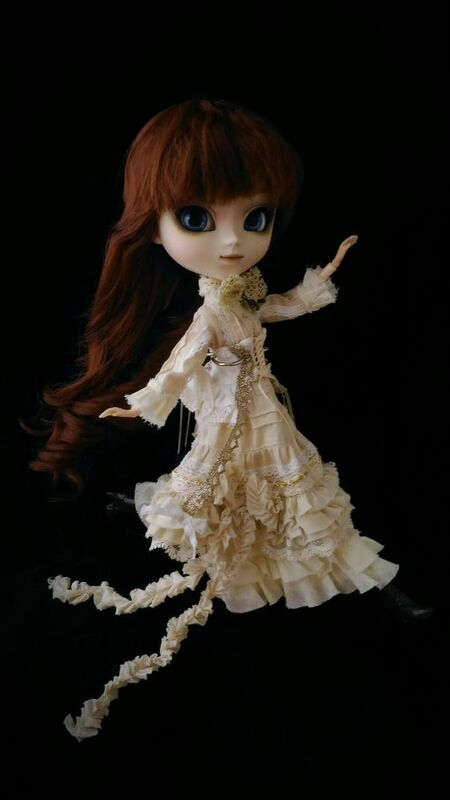 It took me quite some time to get this doll, I also needed to see some redress photos first. But now I'm so glad I got her! She has a lot of potential. Everyone's pictures are beautiful! 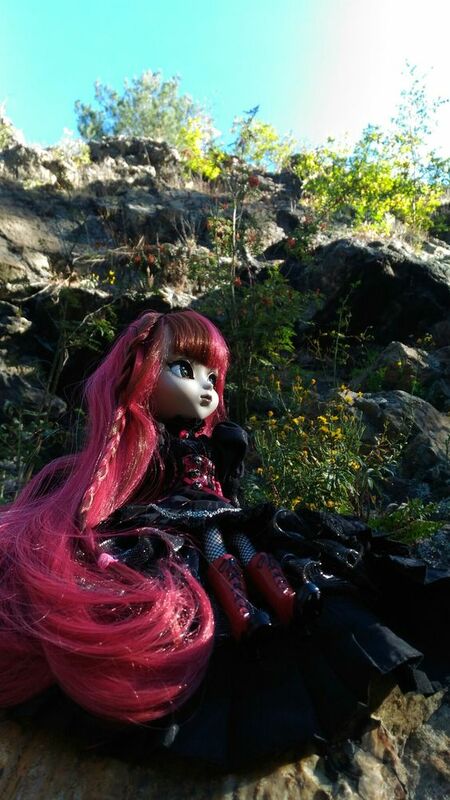 I just started seriously getting into doll photography. Would you guys mind if I join the challenge, even if there only are three months left in 2018? I agree, the pics are super yummy and delicious!!! 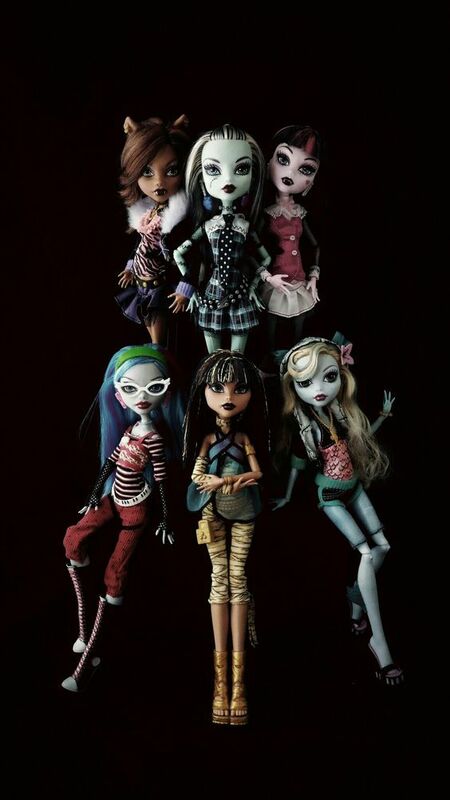 That skellie dress that Clawdeen is wearing is among my favorite MH outfits!! Love that pic! 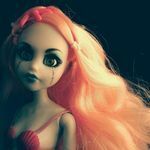 Nice mix of dolls - Pullip, MH, Bratz….the more the merrier! 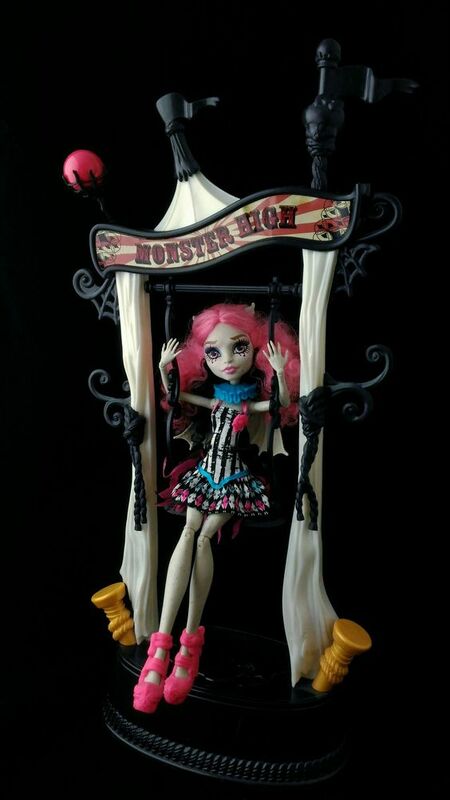 neon - question for you: I noticed in the Clawdeen pic there's an edge of a stand showing, only because it looks like the hard/smooth edge caught the light. IF, for example, you put some matte black light-absorbing fabric over the stand, would it just look like the rest of the background? 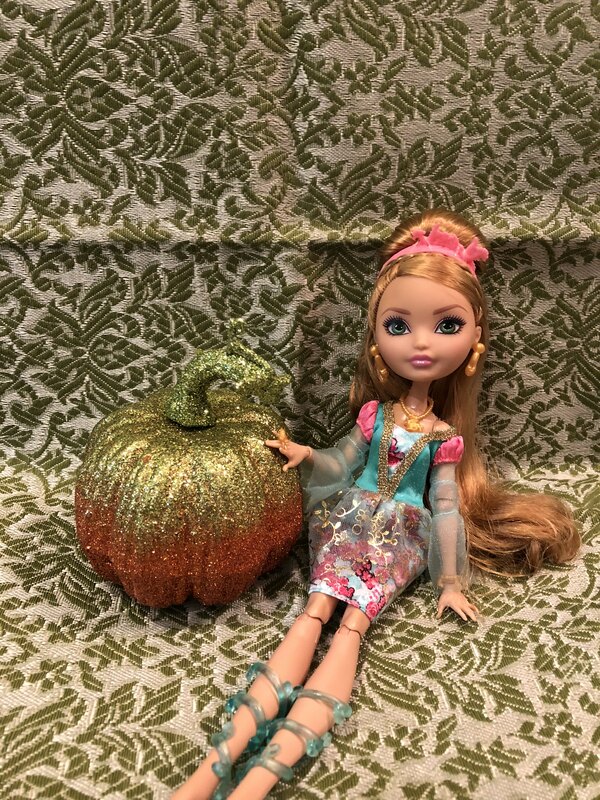 The lovely Avea and her new Shopkins best friend, Sweetie Le Peach! 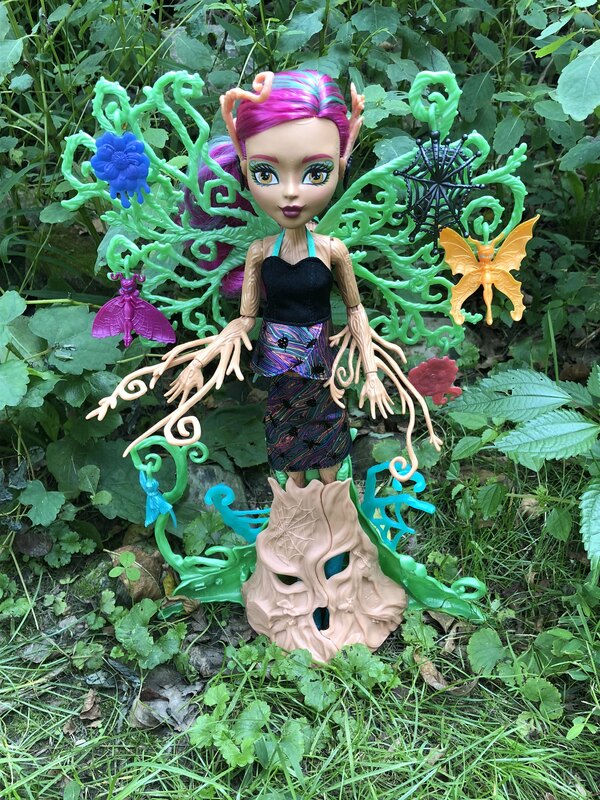 I just received Treesa in the mail yesterday from an Arena member! Here she is in her natural habitat. DogMom - thank you!!! Yes, the stand could be 'camouflaged' like that. 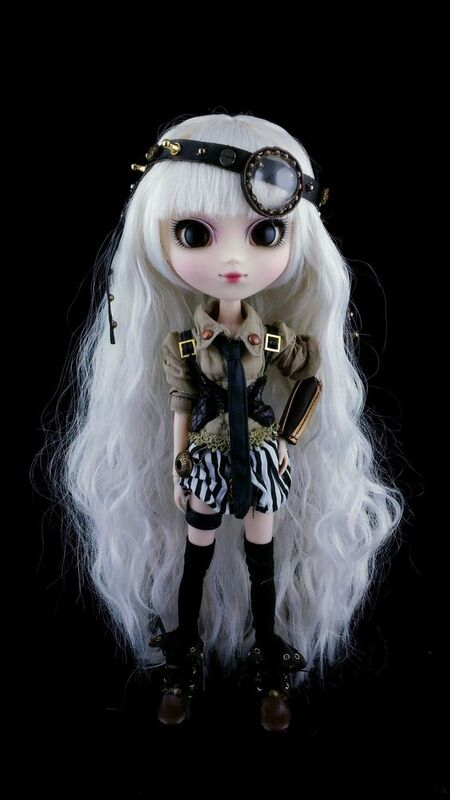 I usually don't mind the stand showing, but sometimes, I do cover it up, like on the picture of jumping Pullip Milk Latte. neon_jellyfish Thank you! It took me awhile to find a good place to take pics of Treesa, so I'm glad you liked it! 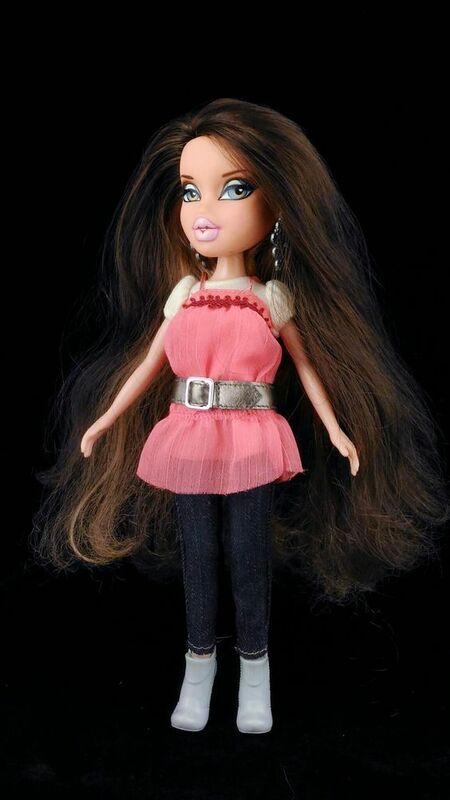 Your Bratz doll is beautiful! She's a Dana, right? 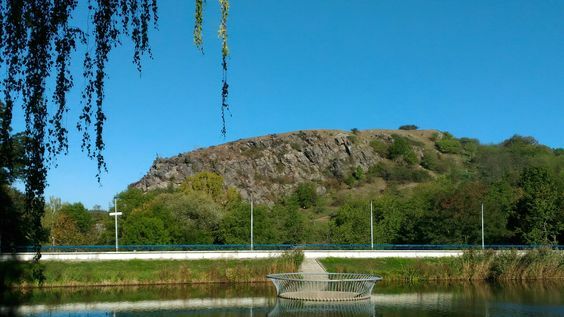 respositob - thank you! 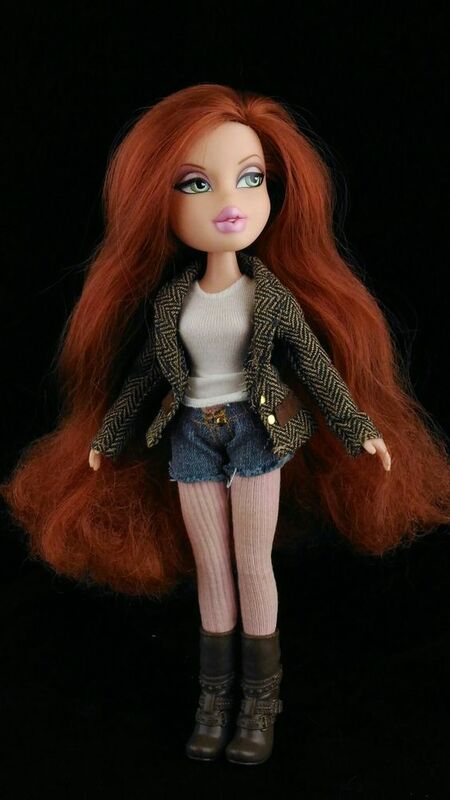 This Bratz is Daphne from 10th Anniversary line. It's Talk Like A Pirate Day! I can't talk like a pirate, but I know someone who can, so I'll let her take over. neon_jellyfish - Oh, okay! Either way, she's a gorgeous doll! And Vandala, is too. Here's a super quick fall-inspired picture of Ashlynn. 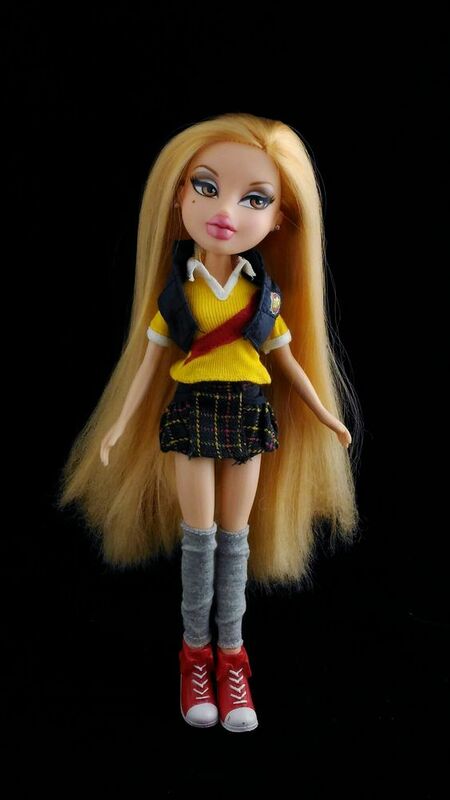 Ashby, from the Bratz 10th Anniversary line. The lighting is terrible in this picture, and Robecca's pose is awful-looking, but it's the only one I was able to get. 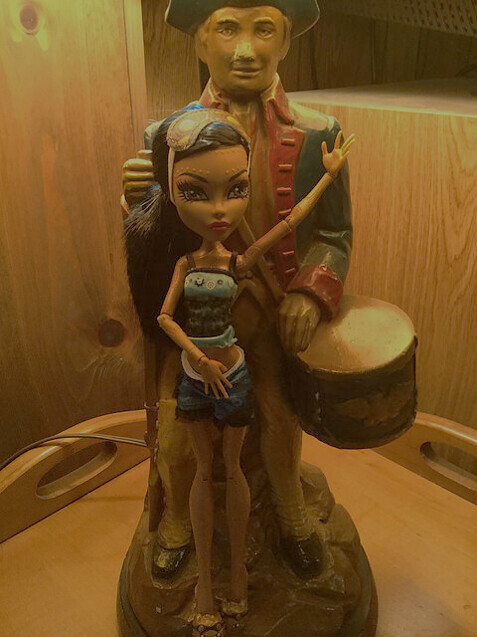 Here is Dead Tired Robecca with her boyfriend, the lamp that my grandpa has in his basement (and no, I don't have any idea why my grandpa decided having a lamp depicting a Revolutionary War soldier would be a great addition to his decor ). Either way, thought they looked super cute together. In my doll universe, Robecca and her boyfriend (who has yet to be named), have sort of a long distance thing going, because even though my grandpa only lives fifteen minutes from me, getting there in a doll car would take a whole lot longer! neon_jellyfish - Ashby is rocking that outfit! 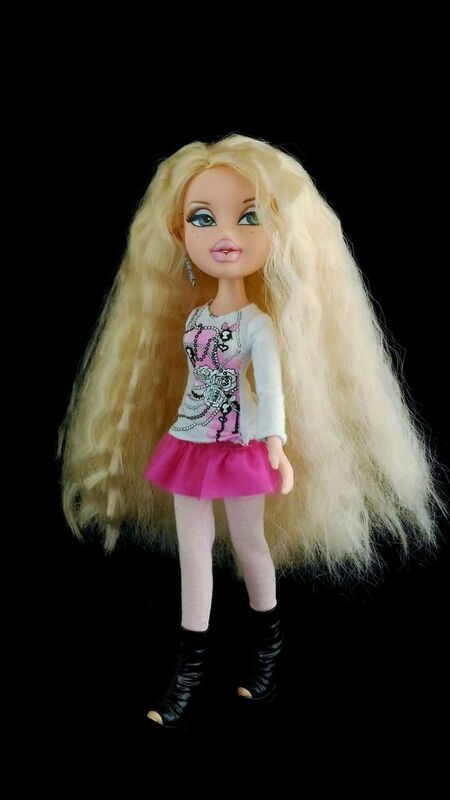 neon, loving the Bratz series! And thanks for the Talk Like a Pirate Day shout-out! BOOtiful pic!! We usually celebrate, but this year with the move it totally passed me by, arrrrgh matey! repositob, loving Robecca & her BF! I wonder if she could sit on his drum with her arm over his shoulder? I wonder if she could sit on his drum with her arm over his shoulder? You know, that's a great idea. The next time I'm at my grandpa's I'll have to try that!